First, i would like to congratulate the Philippines especially the Province of Palawan and the city of Puerto Princesa for getting the 6th spot in the first count of votes of the New 7 Wonders of Nature. The confirmed winners will be announced in the early 2012 during the Official Inauguration ceremonies. May the Puerto Princesa Underground River maintain its spot or, better yet, move up to a much secure position. Before anything else allow me to share a bit of a flashback memory first, though. My first ever trip to the UR back in college didn't have much convenience. Back then the road wasn't paved. I was cursing people in authority because the budget for the renovation and beautification of a tourist attraction such as the UR seemed to be locked safe somewhere. I was embarrassed that visiting the most iconic destination of Palawan requires you to brave the protruding rocks that bumps your vehicles with such force you wish you didn't join the trip in the first place. And the dust that envelopes the whole place forcing itself inside your nose? Jeez! At least now things are a bit tolerable. It only took us an hour and a half to go to UR as opposed to 2 1/2 to 3-hour bus ride before. The roads were nearly finished as well and the people responsible particularly those in Sabang and at the park itself were quite ok in terms of service. But I do hope they improve more. The Puerto Princesa Subterranean River National Park known simply as Underground River, is situated 50 kilometers north of the capital Puerto Princesa. It is located in the Saint Paul Mountain Range on the northern coast of the island. Its north is bordered by St. Paul Bay while the east borders the Babuyan River. 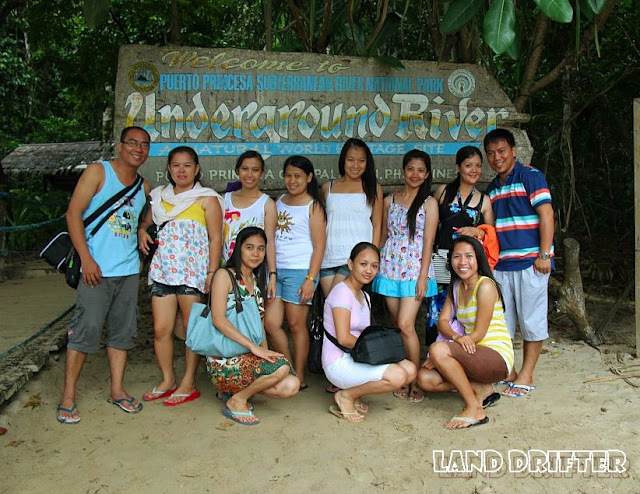 - In order to visit the Underground River, a permit should be secured at their office in downtown Puerto Princesa. Foreigners are charged 200 pesos and 150 pesos for local tourists. - Shuttle vans can be rented at approximately 3,000 to 3,500 pesos from city center to the town of Sabang (vice versa). If you encounter people asking more than the said amount walk away and find someone else. Once at the Sabang Wharf, a 700 pesos should be paid for the pumpboat in a 6 pax max capacity. It will take 15 minutes or so going to the entrance of the cave. Once you arrived at the site you have to register again. Simply note down your name and wait for your turn before you can get in the canoe. You will be asked to wear a life vest and helmet in order to be allowed inside the cave. The helmet serves as a protection from hard falling objects and the atomic bombs of birds and bats inside. Once inside, feast your eyes and marvel at the amazing rock formations of stalagmites and stalactites formed thousands of years ago. Take a photo, touch the cool water, feel the hard rock formation, ask the paddler a question. You can do all of them at no cost! Just don't make a sudden move so as not to tip the canoe over. 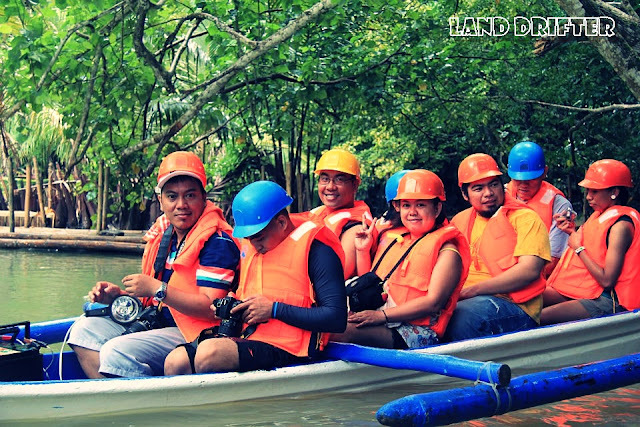 Visiting the Underground River will absolutely leave you in awe. It will stay either active or dormant in your brain. One thing is for sure, you'll have dreams about it even if you're already back in your home sweet home...Forever. Wow! Another one? Tsk! You already Pat. Pak! pak! pak! Indeed, Philippines offer many "one of its kind" experiences liek this one in Palawan.